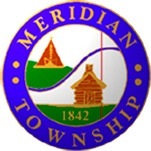 MERIDIAN TOWNSHIP - On Sunday, November 20, 2016, the Meridian Township Police Department will host a charity basketball game versus the Meridian Township Fire Department. Police officers and fire fighters will face off on the basketball court at Haslett Middle School on 1535 Franklin Street. The game will begin at 2:00 p.m. and activities include a 50/50 raffle, a K-9 Meet and Greet, and an appearance from McGruff the Crime Dog. In addition, there will be a bucket raffle for prizes including free rounds of golf at Hawk Hollow Golf Course, party packages valued at $100 from City Limits, Lansing Lugnuts gift pack, Staybridge Suites overnight stays and gift cards to a variety of restaurants and businesses throughout the Township. The generous donations for this event from local businesses, Haslett Public Schools, and individual donors have been overwhelming. Tickets for the event cost $5.00 each, and children under age five are free. Tickets will be available for purchase at the front desk of the Police Department and Treasurer’s Office located at 5151 Marsh Road in Okemos. All proceeds from the event will benefit the 27th Annual Gayelord Mankowksi Christmas Party helping make the holiday a little brighter for disadvantaged youth in our community.